Promotional items help drive your message to the customer through various ways, whether it’s a personalized url for potential customers or a survey and participation discounts attached to a direct mail campaign. We know that promotional items work since 15-25% of customers follow up after receiving direct mail. That number is even higher when the mail is personalized for the recipient. Scratch off printing typically is thought of as lottery or contest pieces; however scratch off printing can be an extremely powerful promotional item. You can create high anticipation with rewards and offers promised to customers. Scratch off printing can send a message of appreciation to existing customers while enticing new prospects. More importantly, scratch off promotional items are interactive for the customer and memorable. 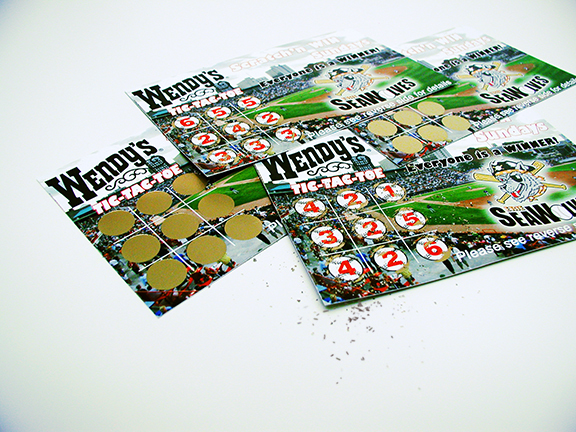 Generate a big interest: Scratch off printing products build anticipation for your customer. It is a great way to engage the customer ensuring your brand name is memorable. 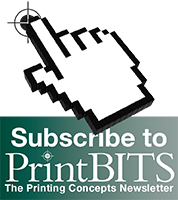 Surprise your customer: Giving away discounts or prizes are one thing, but what about offering a newsletter feature story or a blog entry regarding the customer. Reading about who won the winning ticket creates positive appeal for you and your campaign. Cross promotional: Scratch off offers can drive customers to a campaign website page where they complete a survey or offer information for a chance to win something else. They help drive business in new ways. Scratch off printing is popular: According to industry reports, scratch off promotional activity has increased steadily over the past 10 years reaching 25-35% more customer, the highest of any printed marketing campaign. Our staff of pre-press design and printing professionals can work with you on some of the legal requirements associated with scratch off printing. Some scratch off “giveaways” must be registered through a specific service pending monetary prizes, official rules must be drafted for each promotion, and there needs to be a “No Purchase Necessary” clause in the contract. These legalities are in place to protect the business and customer alike.